We all know that every body of us have a one dream about Luxurious Modern Homes on top of hill or a top floor of the highrise building of pose area of city. But did you ever think about what is luxury? and how do you defined luxurious house? But here i would like to put some interesting search and collective thoughts on the luxurious home decor ideas, which is defiantly put your home decor over the top of the ways. As the old saying goes, every man’s home should feel like his castle. However, these days it seems like castles are only seen in storybooks and on big-budget reality TV shows. It doesn’t need to be that way. 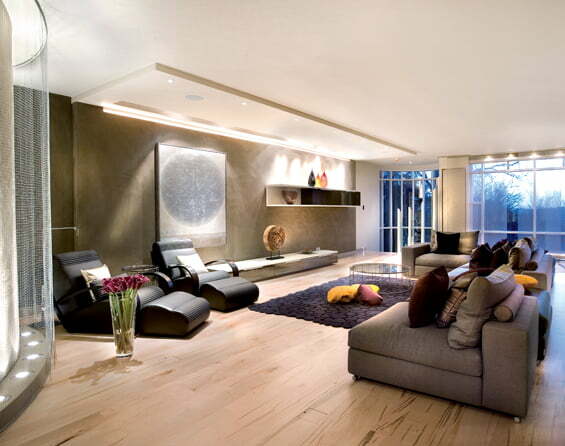 We want to bring that modern luxury interior back into your home interior design. When you develop your luxurious homes design, remember that “luxury” doesn’t necessarily have to be synonymous with “over the top”. There are lots of ways to add a small, luxurious touch to a home interiors and exteriors. By keeping your look understated, you’ll achieve a timeless Luxurious life style that your family and wallet will love. 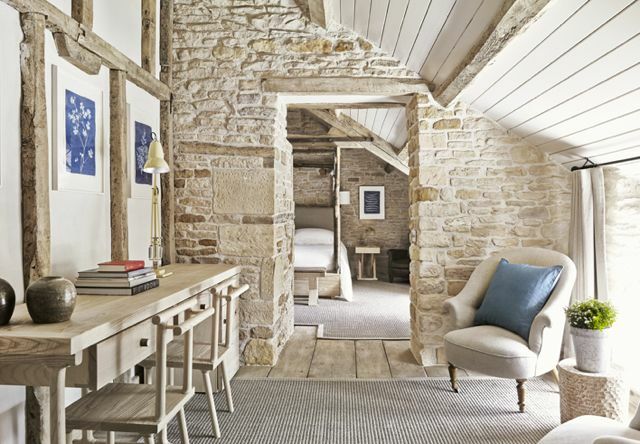 Check out these Ways To Give Your Home A Subtle Luxurious Feel. Take them into account the next time you tackle your decorating to-do list. You deserve to have your home feel like a grand escape. Think about all the luxurious home spaces you’ve seen on TV and in magazines. Are there knock-knacks cluttering every space and personal items lying about? On the contrary, the rooms are always sleek and clean. Fortunately, you don’t need a team of art directors and photographers to achieve the same feel in your home. Do your best to keep clutter to a minimum by investing in furniture storage solution that you’ll actually use. Solid bins that match your interior decor will easily hide away any amount of chaos you can store inside. Station a few of these in every room within easy reach of couches and other high-trafficked areas to ensure you have no excuse store your clutter inside. A clean space will, of course, feel more luxurious that one in need of a good scrub down. Do your best to make a cleaning scheduling and stick to it. To ensure your space is always photo-ready, take care of heavy-duty tasks during your days off and weekends. Then, you’ll only have to give the surfaces a quick wipe down on days when you are rushing out the door. Molding an interior design element and trim are two of the most commonly used tactics to transform a room from a basic box into a comfortable luxurious living cottage. Quite simply, these design elements provide a visual framework for the space while conveying sense that every little detail was taken into account during the decorating process. As you choose your molding, make sure to get proper measurements. If you aren’t very DIY-oriented, this may be an occasion to hire a professional. Once you’ve finished the installation, take care to use matching paint or stain on all of your molding in order to achieve a rich and elegant interior look. In the same vein as the cozy seating, you want your floor coverings to be plentiful as opposed to sparse. Not only will layered floor coverings add an extra layer of padding to underfoot, but they will also help to keep your family’s feet warmer during the dead of winter – which is a luxury worth any price. If you can, start with a basic layer. Hardwood or a realistic-looking faux option is your best bet. They will coordinate easily with a variety of color schemes and decorating styles and give you a solid foundation on which to build the rest of your home decor. If you are a fan of carpeting, you should choose a solid, neutral color and make sure it has a thick layer of padding underneath. Then, add in your personal style with throw rugs. Oriental designs are a classic choice for those who want to add a luxurious feel. But, whatever style you choose, just make sure to use colors that are already present in your design and sizes that work with the shape of the room. Close your eyes and picture yourself living in the lap of luxury. Do you see yourself reclining back into piles of pillows or struggling to find a comfortable spot on a minimalist seating set? Most likely, it’s the former. 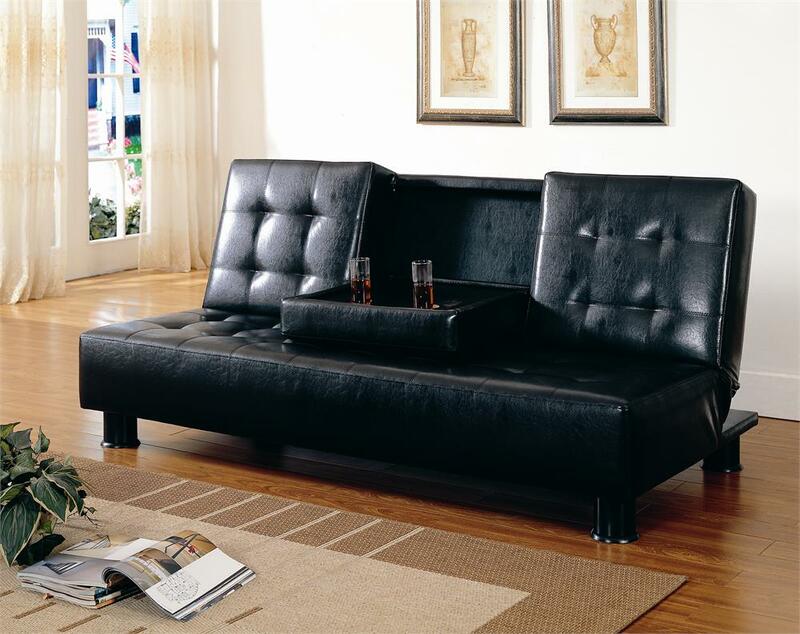 Give your home a luxurious touch by providing plenty of plush seating sofas. Whenever possible, make sure that your seating is cushioned and upholstered. Opt for richer, high-quality fabrics to really cement the luxurious feel. Don’t hesitate to choose a textured fabric that will help bring an extra layer of depth into the space. Of course, it’s impossible to discuss plush seating without also discussing throw pillows. Those striving to achieve a more modern look should choose an odd number of pillows and arrange them asymmetrically. If your design is more traditional, go for an even amount and display them as bookends on your furniture. Whatever your style, be sure to choose pillows in varying sizes and coordinating colors. One of the defining characteristics of any luxurious space is that you want it to feel inviting. You want your family and friends to wish they could spend all of their free time in the safety and comfort provided by rooms. Make sure you create that welcoming atmosphere by choosing the right warm and cool colors. The science behind color psychology has been studied for decades. Warm colors like red, orange, and yellow are perceived as cozy and intimate. Cooler colors like grey and green have been associated with calmness and are used to make a room feel more spacious. Draw your guests into the space by opting for deep, warm tones. 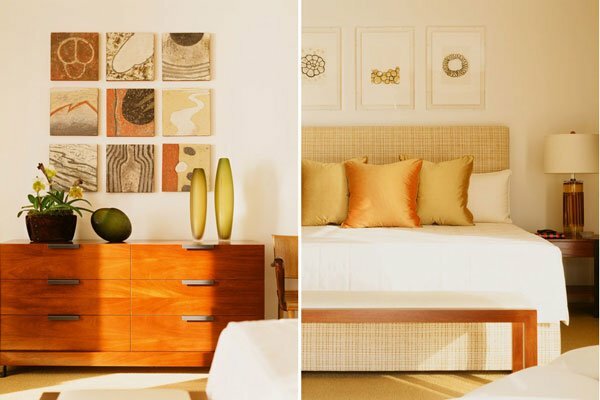 Tan shades serve as a great neutral base on which to build brighter, more vibrant colors. But, if cooler colors are more your style, deep, jeweled tones to still give a subtle nod to luxury. There’s something about incorporating an antique element into your home decor that adds a feeling of grandeur to a room. By choosing one or two antiques to tie a room together you can add a layer of visual interest to the space without it clashing with your more modern aesthetic. When it comes how you should incorporate your antique, the sky is the limit. Mirrors are a great option since they will add weight and depth to any space. You could also anchor the room with an armchair or vanity. Those who are newer to antiquing and want to start small could look toward a decorative vase or desk lamp. Looking for antiques is not an exact science. It may take a bit of time to find the perfect piece to fit into your space, but when you find the one, it will be worth the wait. Make searching for your antiques into an enjoyable experience by spending afternoons combing local flea markets and yard sales. Look at everything and think carefully before buying. A little bit of elbow grease will go a long way toward making an antique shine, but make sure its structure will hold up to use. Ambiance will go a long way towards influencing the feel of a space. Soft piano music and lit candles will give off a much more romantic feel than harsh overhead lighting coupled with silence. 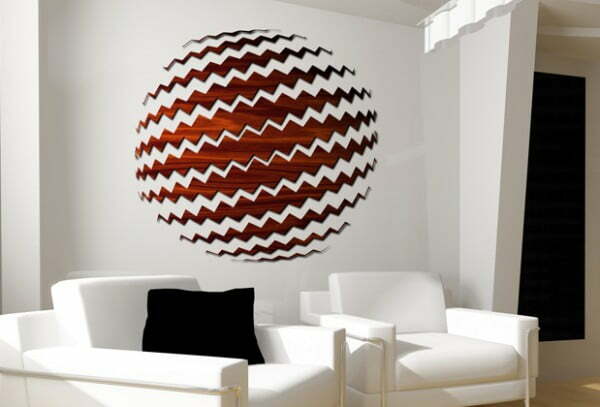 Make sure you are using atmosphere to really drive home the luxurious feel in your space. When it comes to ambiance, lighting is key. Use lampshades to keep lighting soft and diffused. If your fixture utilizes more than one bulb at a time, consider mixing colors – white and pink work well together to create a subtle hue. If you have overhead lighting in your space, install dimmer switches to allow you to control the brightness. Beyond lighting, music will help you add a luxe touch to any space. Invest in a solid sound system and thoughtfully place speakers so that sound will be evenly distributed throughout the space. Consider wiring them into the ceiling to keep any unsightly hardware and wires out of sight. No luxurious space would be complete without a certain amount of shine. 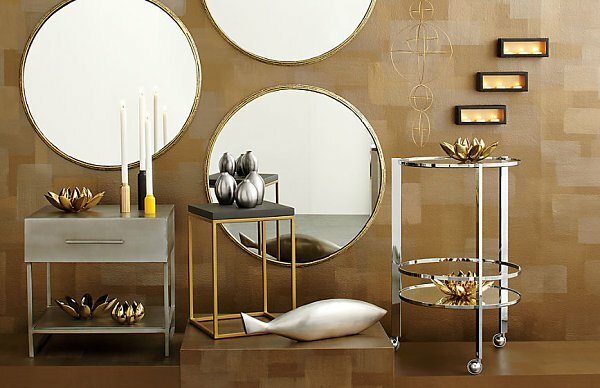 Decadent gold, demure bronze, and lavish silver can each add a rich touch to your rooms. Pick the one that best fits with your personal style and incorporate it into your accessories for a subtle hint of glamor. Bel fort Furniture cautions against going overboard with metallic. They recommend keeping the pieces simple when possible, using one or two items as a statement piece for the room, and always pairing the metallic with solid hues in order to create a relaxing atmosphere. With those tips in mind, aim to incorporate metals in things like lighting fixtures, wall hangings, and other decor items. If you’re feeling particularly bold, you could also consider a singular, bigger pop of metal like a sink basin in your bathroom or cooker hood in the kitchen. Buckle up for one of the best-kept secrets in interior design: A little bit of luxury will go a long way. Splurge when it comes to your finishing touches and you’ll create a luxurious feel for relatively little expenditure. When talking about finishing touches, designers are referring to small details that are often overlooked on their own, but when added together, really round off the room. This can be anything from window treatments, to hardware finishes for cabinetry, or even live plants to add a pop of freshness to the space. Choose one or two of these small touches to really drive home your take on luxury. Replace your facet and drawer-pulls with stainless looks for a modern kitchen. Make your bathroom feel like a spa by springing for hotel-quality towels. Top off your master bathroom with satin sheets and a heavy down comforter. Crux: Everyone wants a home that feels like a high-end oasis. However, what most people don’t realize is that you don’t need a six-figure budget in order to achieve that aesthetic. All you need is a few simple touches. By taking care to add those details in the right places, you create a subtle luxurious feel in your home that both your family and your wallet will love. Use the tips above to get started today. How have you brought a luxurious feel into your home? What are your favorite luxury details? Tell us in the comments.